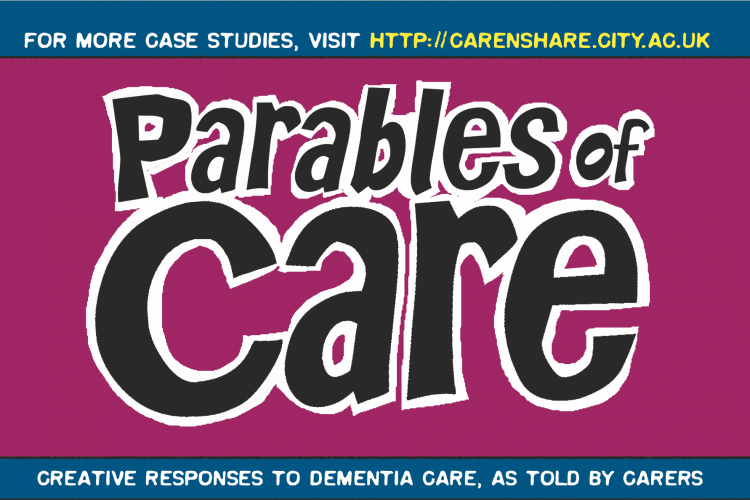 Parables of Care explores the potential of comics to enhance the impact of dementia care research. 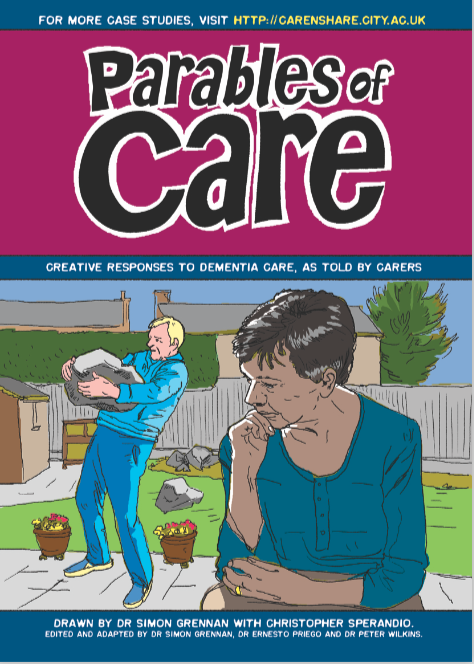 The 16-page publication presents in comics form true stories of creative responses to dementia care, as told by carers, adapted from a group of over 100 case studies available at http://carenshare.city.ac.uk. If you live in the UK you can request printed copies at no cost here. Parables of Care was edited and adapted by Dr Simon Grennan (University of Chester) Dr Ernesto Priego (City, University of London) and Dr Peter Wilkins (Douglas College). Parables of Care was drawn by Dr Simon Grennan with Christopher Sperandio. Parables of Care is a project of the Centre for Human Comuter Interaction Design, City, University of London, The University of Chester, UK, and Douglas College, Vancouver, Canada. Project leader: Dr Ernesto Priego, Centre for Human Computer Interaction Design, City, University of London. This resource was set up and is edited and managed by Ernesto Priego.